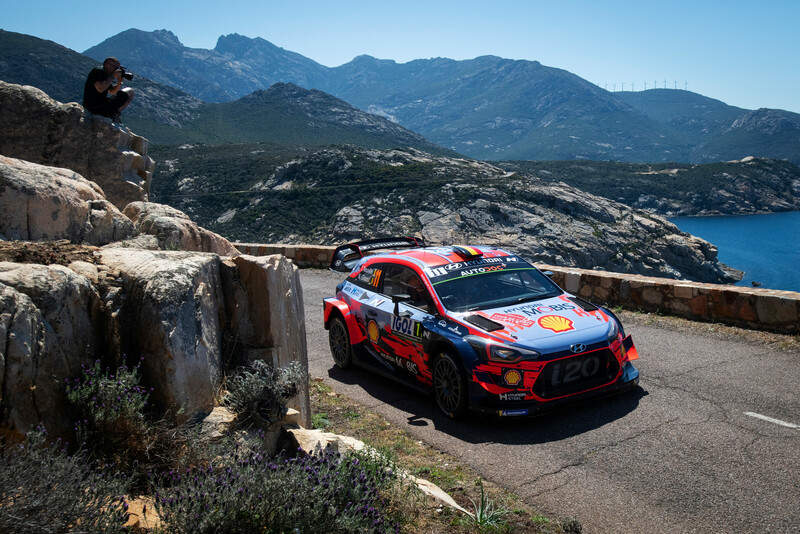 Hyundai’s Thierry Neuville grabbed a dramatic victory on the Tour de Corse on Sunday afternoon and now holds a two-point lead in the FIA Rally Championship. Rally leader at the start of the Power Stage Elfyn Evans was on course with his Ford Fiesta to claim the win when he picked up a puncture which cost him 90 seconds and dropped him to third place. Sébastien Ogier was relieved to claim second, 40.3sec behind Neuville, after a difficult rally in his Citroën C3. abrasive and patchy asphalt, for a total of 51.19 competitive kilometers. None of the stages had been part of the championship’s calendar in the past but both were on the itinerary of the Intercontinental Rally Challenge that Neuville won in 2011. Neuville started Eaux de Zilia 4.5s up on Evans, having taken the lead for the first time on Saturday’s final stage, Castagniccia. By the finish line, the Belgian had fallen down to second, after a stunning run by his M-Sport rival. Evans took 16s out of Hyundai’s driver on the 31.85 kilometre test, which gave him a 11.5s lead with only one last stage to go. All looked to be set for an assured victory for Evans when Neuville turned in a time 11.7s slower than Power Stage winner Kris Meeke on Calvi. Instead, disaster struck: Evans’s Ford Fiesta picked up a front right puncture, which eventually delaminated and left him running on the wheel rim. Evans lost a minute and a half driving at reduced speed to the finish line, dropping to third behind both Neuville and Ogier, but slotting in ahead of Neuville’s Hyundai team-mate Dani Sordo in fourth. Neuville’s gap at the finish was 40.3s over Ogier, the latter struggling for pace with his Citroën C3 since the very beginning on the rally. From an eighth place overall on Friday morning, the six-time World Rally Champion steadily climbed his way up the leaderboard, also benefitting from a puncture on Ott Tänak’s car on Saturday, who had been battling with Evans for the lead until the last stage of the day. Tänak grabbed a handful of points by finishing second quickest behind Meeke on the Power Stage, while Neuville and Ogier were fourth and fifth fastest respectively. 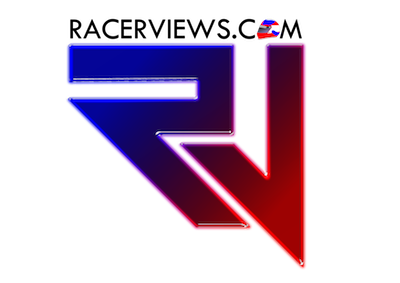 All three are now separated by only five points in the FIA World Drivers’ Championship: Neuville moving into first place with 82pts, Ogier second with 80pts and Tänak third with 77pts. Dani Sordo faced troubles with his brakes, which stopped him from challenging Ogier, having started the day only 5.1s behind the reigning champion. 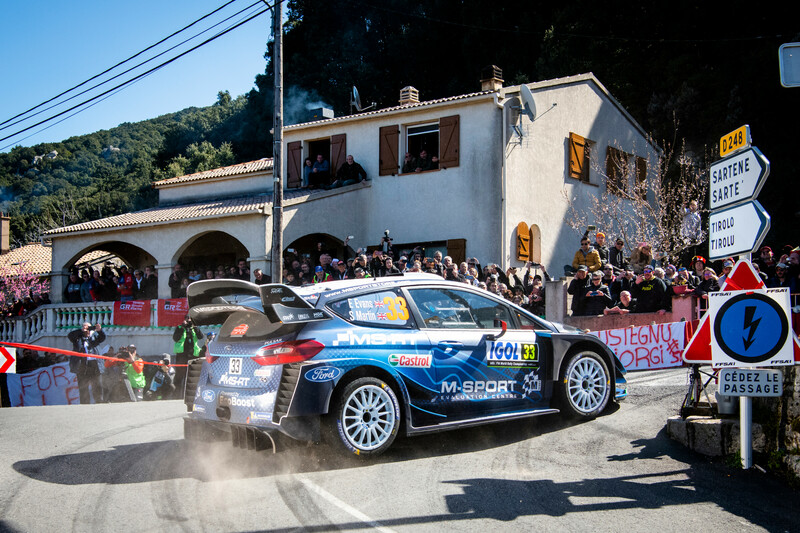 He managed to hold fourth place, with M-Sport’s Teemu Suninen completing the top five, while also scoring three bonus points by going third-quickest on the Calvi Power Stage. Tänak had been in a tense fight for the top spot on the leaderboard with Evans since Friday morning but a puncture on Saturday afternoon dropped him down to seventh place. He retained his sixth position ahead of Esapekka Lappi on Sunday and scored a consolating four bonus points on the Power Stage. National hero Sébastien Loeb had been set back on the rally’s very first stage on Friday with damaged suspension, losing over two minutes and kept falling further behind the leaders as the rally went on. The Hyundai driver secured an eighth place finish with a careful drive on the final two stages of the event. Toyota drivers Kris Meeke and Jari-Matti Latvala completed the top 10, the former managing his pace in Eaux de Zilia to save his tyres for the Power Stage – a winning strategy as the Brit set the fastest time in this last test, hence snatching the maximum bonus points. Meeke lost several minutes on Friday with a broken wheel on SS1 and then hit a kerb that broke his suspension on SS5, while Latvala also encountered misfortune with punctures on both Friday and Saturday. Fabio Andolfi scored victory in the FIA WRC 2 Championship in a nailbiting finish. The Italian driver dropped over half a minute in today’s first test to Nikolay Gryazin, which brought the gap between the two leaders to only 0.7s at the start of the Power Stage. Andolfi then turned in a stunning performance on Calvi to secure the win, defeating Gryazin in a straight fight. Ole Christian Veiby lost a wheel on the penultimate stage, which promoted three-time European Rally champion Kajetan Kajetanowicz to the final WRC 2 podium place. M-Sport’s Łukasz Pieniążek claimed the FIA WRC 2 Pro victory to take the lead in his championship, while Julius Tannert stole victory away from Tom Kristensson in the FIA Junior WRC class on the very last stage, driving 6.2s faster than the field on the Power Stage.